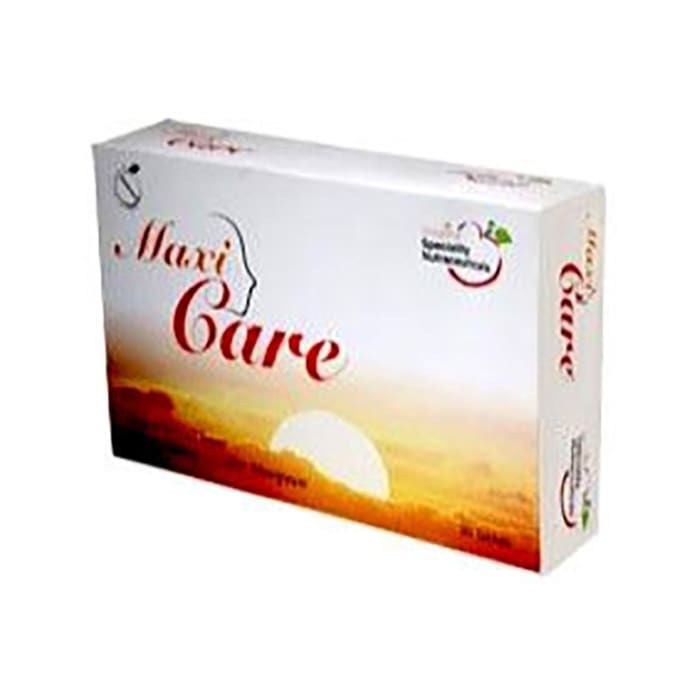 Maxicare Tablet is an antioxidant and multivitamin preparation containing Alpha lipoic acid 100 mg, Alpha-linolenic acid (ALA) 50 mg, folic acid 1.5 mg, linoleic acid 10 mg, methylcobalamin 1500 mcg, oleic acid 18 mg, and pyridoxine 3 mg. The combination of organic constituents makes Maxicare a powerful antioxidant. ALA is a universal antioxidant which is soluble in both water and fat. It improves cell health. Folic acid and methylcobalamin help in production and maturation of red blood cells. The combination of antioxidants and multivitamins in Maxicare furthermore help in neuronal development and is indicated for various diseases related to nervous system like diabetic retinopathy, stroke etc.